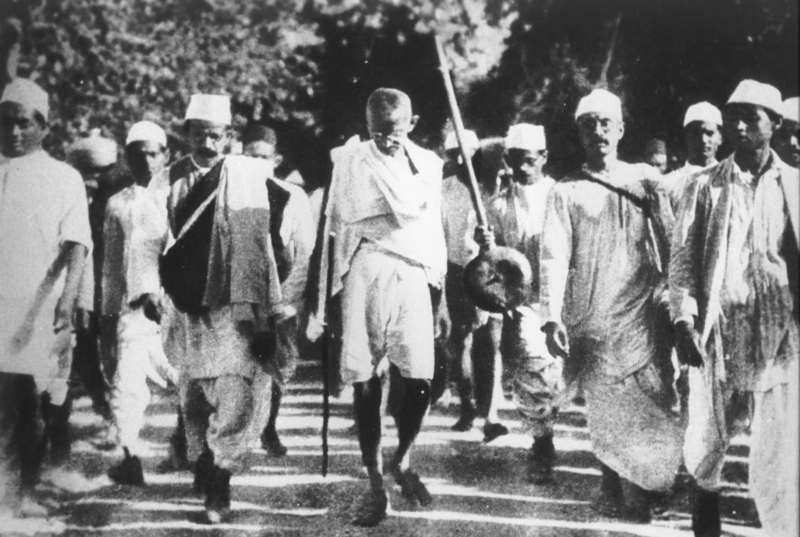 Gandhi during the Salt March, March 1930. Photographer unknown. Gandhi is credited with saying, “Be the change you want to see in the world.” It’s quoted so often that it almost seems trite. But it’s not trite. It’s exactly what we have to do in just about every role we play: global citizen, family member, employee, teacher, and more. When surrounded by situations we want to change, even when they’re nothing that will go down in history, it can be difficult to stay strong in the face of resistance, misunderstanding, and indifference. One of the ways I deal with that is by surrounding myself with blogs that support the values I want to act upon: innovation, excellent teaching, resource sharing, and intentionality. I’m not talking about keeping up with best practices; I’m talking about moral support. My RSS feed is peer pressure to do what I consider to be the right thing. It’s a simple way to keep myself on track. How do you stay the course? What role does social media play for you?